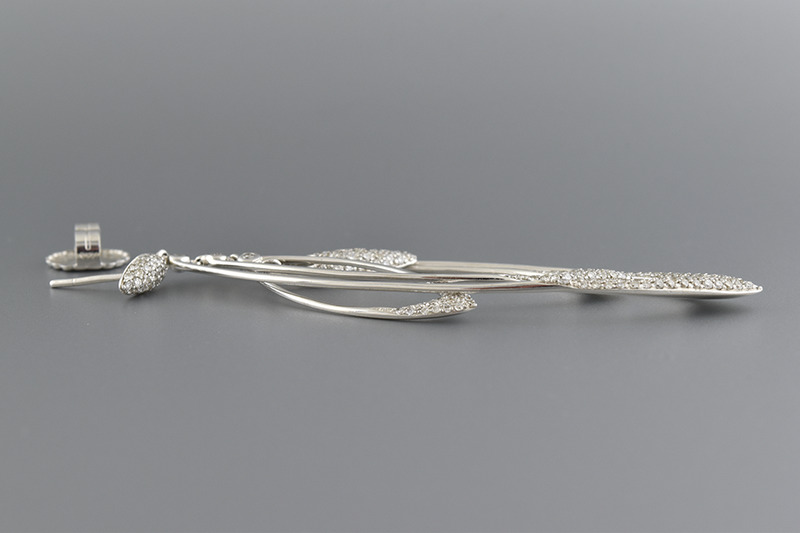 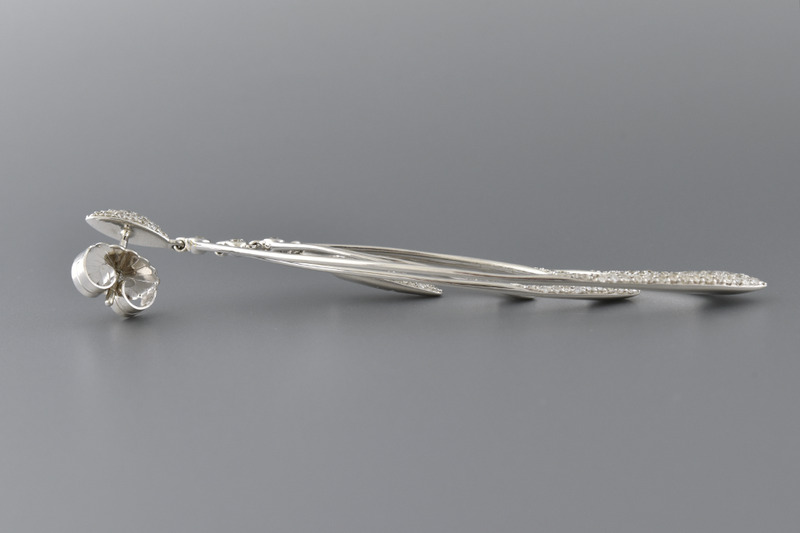 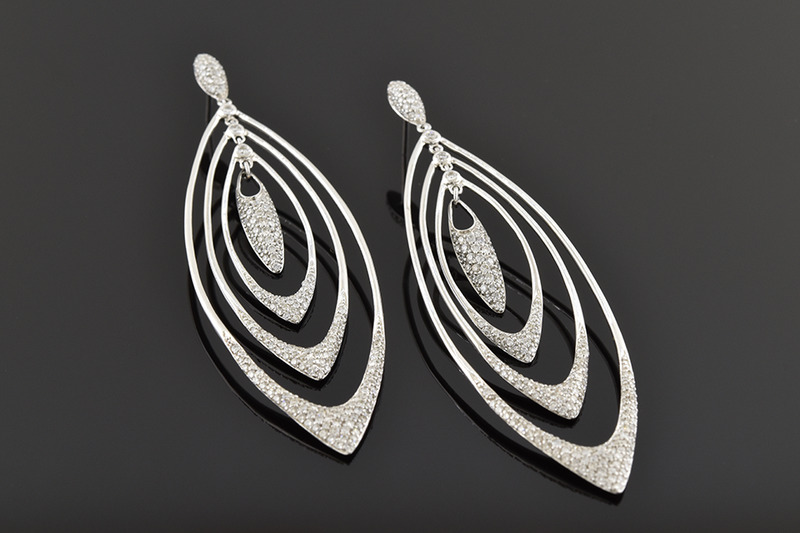 Fun and stylish, these long white gold diamond earrings make a statement. 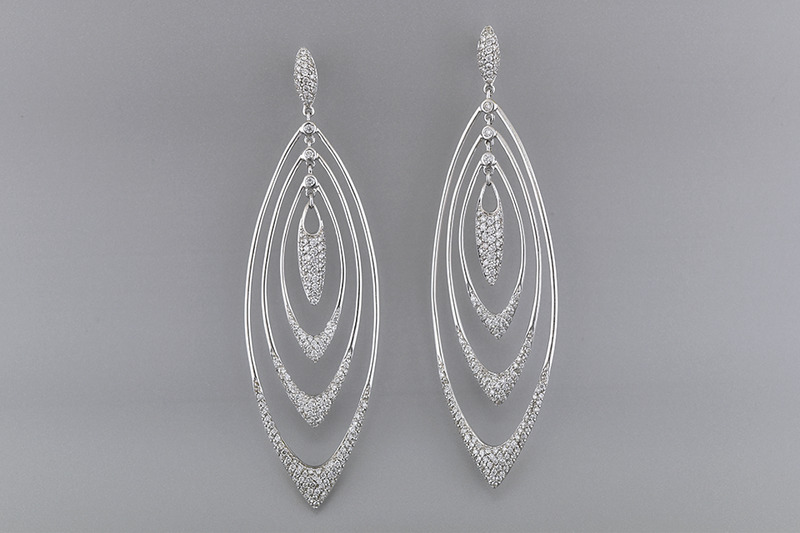 Each earring has long loops of gold decorated with 2.00 ctw. 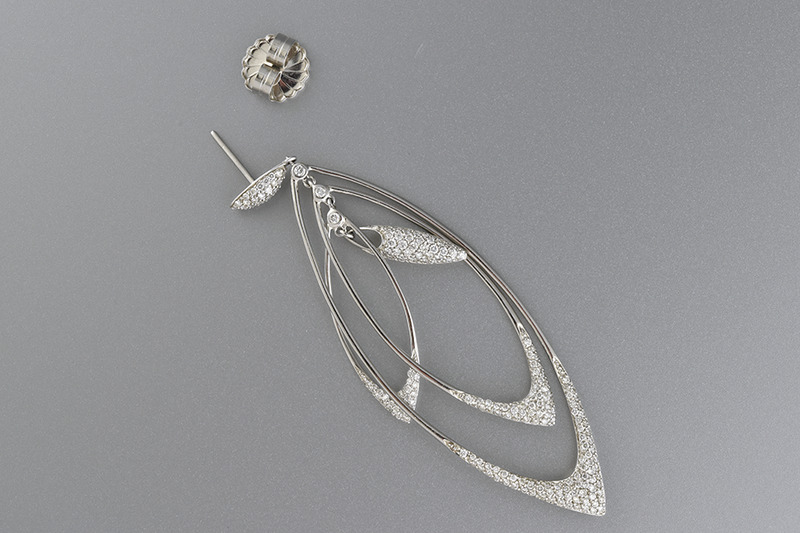 of pave diamonds.